← Letter to a Literary Agent – (and possibly how NOT to do it). Welcome to my world and what lies within. This week’s blog post is going to be a little bit different as it’s a sort of a sneak peek into my new eBook coming out later this year. Yes, Isis, Vampires and Ghosts – Oh My! will be available for you all to read soon! 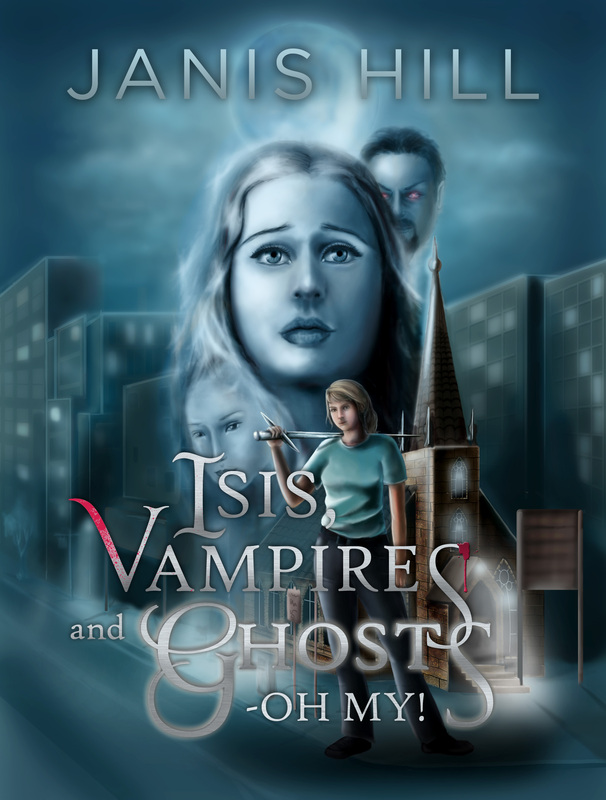 Basically, this post has come about as I was asked recently what the vampires in my world were like… and as I’d had to explain Isis for the cover design, that really only left ghosts, right? I will admit now though, that on saying this is my writing skill… I’m worried it’s going to come across as crap! Oh dear. Okay, and so here we go, what are Vampires, Ghosts and even Isis herself like in my world? Am I just another cookie cutter paranormal adventure writer? Or is there something a little bit different here, like there is in my world of blondes and mathematics. Let me know what you think! We’ll go in title order and start with Isis… within my world Isis is the Mother Goddess of Pagan belief more than she is the ancient Egyptian Goddess. And, yes, she is real… aren’t all Gods and Goddess real? Isis has been revered throughout the centuries since ancient Egypt and each generation has created their own image of her. The Greeks, Romans even through to Victorian England folk have worshipped her. And I don’t just mean the hokum revival of all things Egyptian that happened in the Victorian era. Some of those educated and cultured people still followed the ‘old ways’. — This is a true fact by the way, not just part of the story… actually it is this worship of Isis that helped make the story what it is. On to vampires… if any of you like my author page on Facebook you would have seen this description earlier in the week as it really did instigate this blog post. No, I wasn’t in need of a blog post idea, but it inspired one all the same. Vampires in my world do not sparkle or smoulder. They are a parasitic beast that lives on, not by dyeing young and staying beautiful, but by existing in blood stained by the banishment of a demon eons ago. They possess a person body and soul, turning them undead to prolong the suffering and feed off their very essence until they are an empty husk and their soul writhes in purgatory for the evil deeds and horror their body has inflicted upon the world while possessed. You can destroy the host with burning or beheading, but as long as there is a sample of blood left, the vampire can live on. If the host is killed in this way, their soul is still lost to purgatory. It can only be saved within the first cycle of the moon from the point of said possession, but you are saving them in soul only. And you will require the crucible of the Vampire possessing them to achieve this goal. My vampires do not sparkle, and smoulder, they glower, manipulate and cause harm for pleasure. All good girls need a blessed silver dagger of Isis, a decent prayer book, a splash of holy water and the vampire’s crucible if seeking to rid the world of them. The gloves are optional. Onto the Ghosts of my world. They don’t clank chains, slime you or even lift a penny up and slide it along a door to pretty music. No, they are the everyday people trapped between the world we know and their next life by a dark ritual. They were people who did a bad deed in front of the wrong person, got caught in the act and were then bled to the point their lives wavered between one world and the next. They are then bound to an item of their making, whether it be a wooden box they’ve carved, a scarf they’ve knitted or a flower they have grown. Ghosts then become tools of the person they are bound to; they become an extension of their power. A ghost is simply the remaining life force energy, the aura, of a person and the item they’re bound to merely the storage device they are kept in. When extra life force energy is required for a ceremony, spell or for protection, the ‘owner’ of the ghost simply draws on their life force to back up their own. Vampires and other Other World creatures of Darkness often have a collection of ghosts to add to their own powers as needed. Who a ghost is bound to can change, possession taken or given in trade or ceremony. Although a ghost is the image and personality of the person they had been before death, their monotone appearance changes colour to match the aura of the person they are bonded to. In a way, it is also a show of power as it shows the world exactly what sort of person their ‘owner’ is through the colour of their aura. Ghosts can be destroyed by the vessel they are bound to being burnt, but their souls are then trapped in purgatory with no chance of moving on to the next life. To save a ghost you must find the right ritual, heavily linked to their culture’s religious rituals. Once a ghost is freed in this manner, it moves on into the Light until the time of their rebirth. As to the Oh My! part of the title… oh there are so many moments in my world that need an Oh My! to explain them. The BirdFolk of Wroth, Earthed demons, women in long white robes that look as if they’ve just taken the sheets and curtains down and put them on… it’s all there. I will mention that this world of mine has many sides to it. There’s the ‘normal’ world up against the Other World. The people who walk in the Light against those who walk in the Darkness… and then all those fascinating people who have learnt to walk in the Grey in between all these sides. congratulations! Was it hard finding someone to publish yor books? I mysl am working on a book and was wondering. Sorry about the typos its what I get for replying to something when I first wake up! Heh heh, I know the typo feeling well. 🙂 Ummm, with my first book it took me about 4 months to find a publisher, with Isis, Vampires and Ghosts – Oh My! I was offered a contract within 4 days of pitching. Author friends of mine (like Ann) tell me this is amazingly rare so I may not be the best person too offer the advice. Oh, and ALWAYS research the publisher and meet their requirements as they are very picky, and can be with millions of us wee Writer fishy out there looking for a nibble.